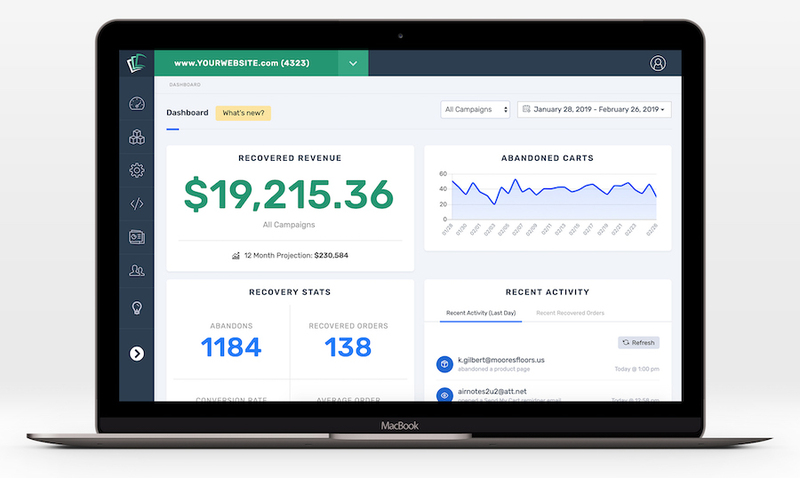 CartStack combines on-site lead capture campaigns with recovery email campaigns to help online retailers recover 20 percent of lost sales. CartStack’s on-site retargeting campaigns, including exit-intent popups, real-time lead capture, and send my cart, monitors visitors presenting timed offers and capturing contact data for recovery campaigns while simultaneously improving conversion rate in real-time. 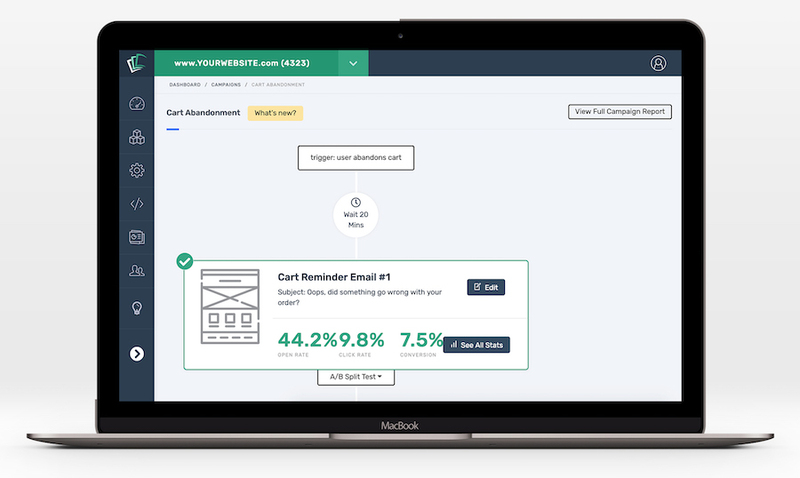 Visitors are then automatically segmented into highly personalized cart abandonment and browse abandonment email drips to reengage high-intent shoppers and recover lost revenue. CartStack main dashboard. Click to enlarge. Cart abandonment email campaigns. Click to enlarge.